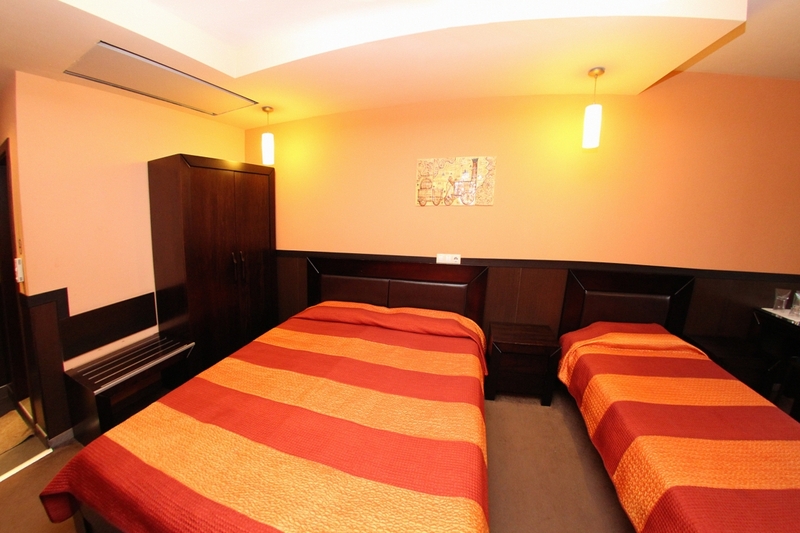 We offer a triple room with one large king size bed and a single bed. 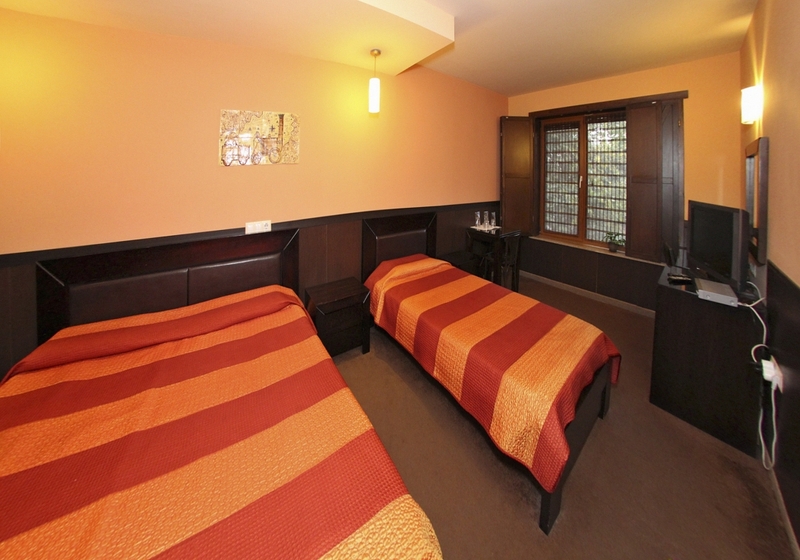 The room has all the amentities like minibar, flat screen digital TV, large bathroom with shower cabin, table, telephone, armchair, suitable for rest after a long day. All roms have wooden shutters and sun blocking blinds, for extra quiet and comfort. All spaces are air condioned with individual temparature control, hot water is available all year round. WiFi is free and cover areas of the hotel. Park wood dominates the interior mixed with oi painthing and colourful ceramics all comissioned by famous Plovdiv artists. Pets are welcome. Addtional charges apply. 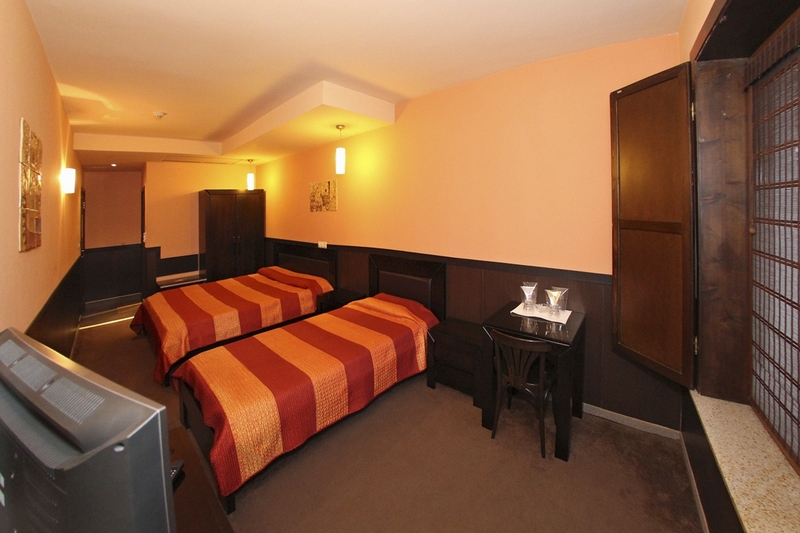 All prices include VAT 9%, tourist tax,insurance and buffet table breakfast. All other services are charched with 20 % VAT.